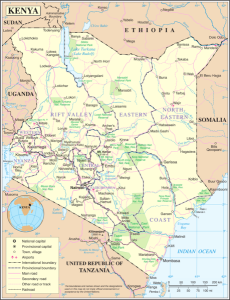 (BBC) — Kenya’s President Uhuru Kenyatta says he will set up a new special prison for violent extremist offenders. The facility would prevent jihadists from spreading their extremist ideology to the rest of society, he said. The country’s anti-terror law allows security forces to detain people suspected of terrorist activities for a long period without charge. Kenya is battling home-grown militants linked to Islamist group al-Shabab, which is part of al-Qaeda.